The dance of democracy begins. The first phase of poll is over. It covered total 91 constituencies across 20 states and Union Territories. Apart from that, voting is underway in 175 Assembly seats in Andhra Pradesh, 32 in Sikkim and 28 seats in Odisha. North East states like Nagaland and Meghalaya recorded turn-out more than 70% till 5PM. Let’s see what happened today. Elections in Andhra Pradesh were, however, marred with violence with the cadres of TDP and YSRCP in different parts of the state. Reports said that there were at least 15 different incidents of clashes between the workers of these parties. One worker from the ruling Telugu Desam Party and one from the YSR Congress were killed in a clash in a village in Tadipatri Assembly constituency in Anantapuram district.Besides clashes between the rival parties, the elections in Andhra Pradesh were also hampered by multiple reports of EVM malfunctions. Chief Minister Chandrababu Naidu alleged that 30 percent EVMs malfunctioned and sought re-polling at all the locations that reported glitches in the voting machines. State’s Chief Electoral Officer, however, denied that 30 percent of the EVMs had malfuncted. Naidu even shot off a letter to the Election Commission. In Maharashtra, Naxalites attacked a police team returning after the close of polling in Atapalli in Gadchiroli. Three commandos of the police were injured in this attack. The injured were taken to Nagpur by air life. The Naxalites also fired on helicopters carrying the injured. 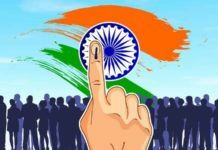 There was an incident in which a 91- year old Khajan Singh Saini was unable vote as his name was not in the voters’ list in Shahpur town, Muzaffarpur. Villagers in that village tell that there are more than 400 such people who are not in the voters’ list across 3 wards of Shahpur town only. 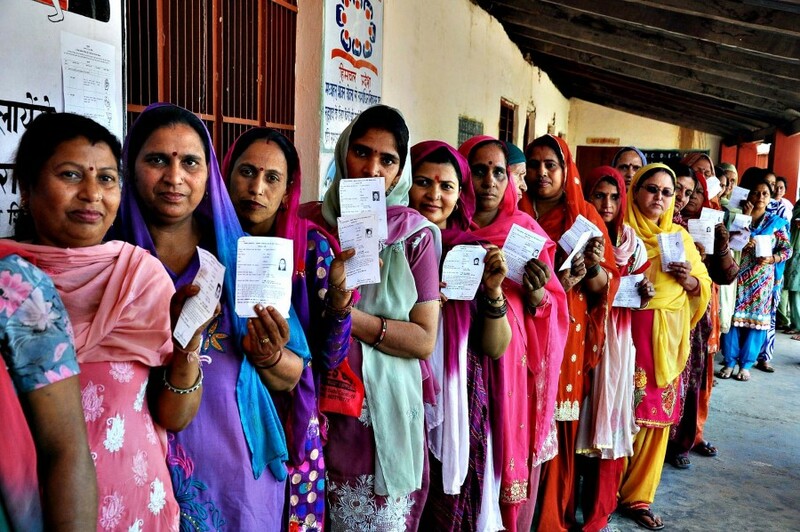 In Uttar Pradesh, voter turnout till 5:00 PM in Kairana was 60.3 percent, Meerut 60.5 percent and Bijnor 61.5 percent. In Meghalaya, 75% people came for voting whereas in Nagaland, that figure was 73% till 4 PM. Phase 2 will be conducted on April 18. This phase will cover a total of 97 constituencies spread across 13 states. Releasing soon: CBFC To Allow “Padmavat’ After The Changes. Rs 7,961 Crore of undisclosed currency curbed by I-T Department post-Demonetization. 17 Deaths Every Hour, Know Why?